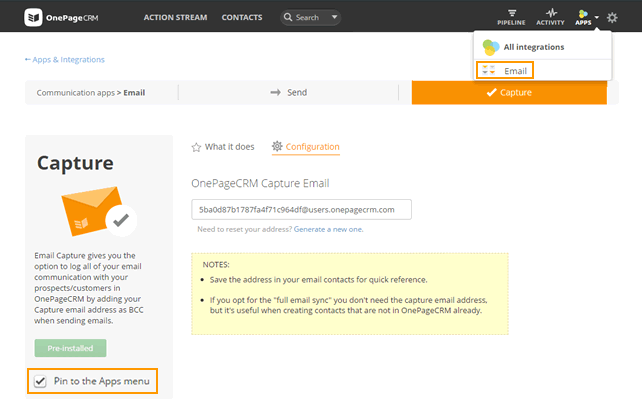 Your OnePageCRM Capture Email address gives you the option to log your email communication with your customers in OnePageCRM. 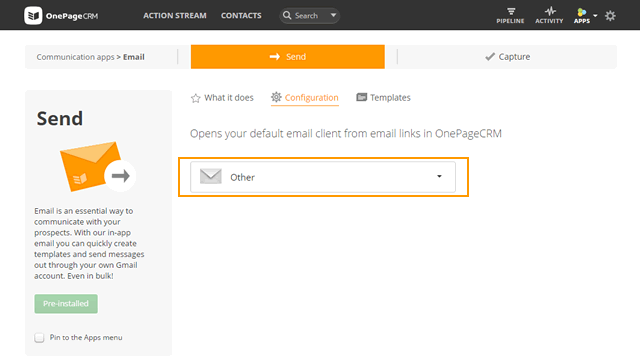 Directly send emails to contacts from your OnePageCRM account by clicking on their email address. 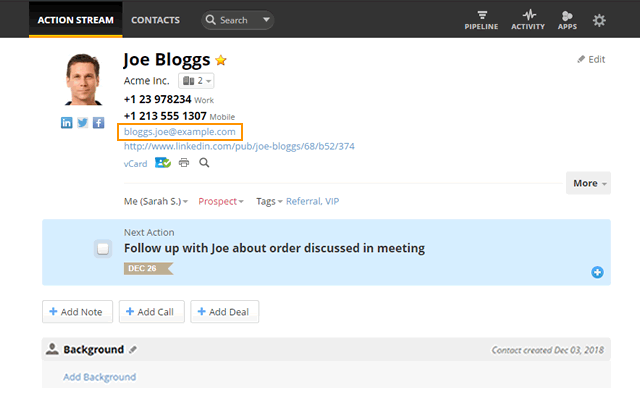 This prompts the default email client to open a new compose email window and have the Bcc field auto-populated with your Capture Email address. 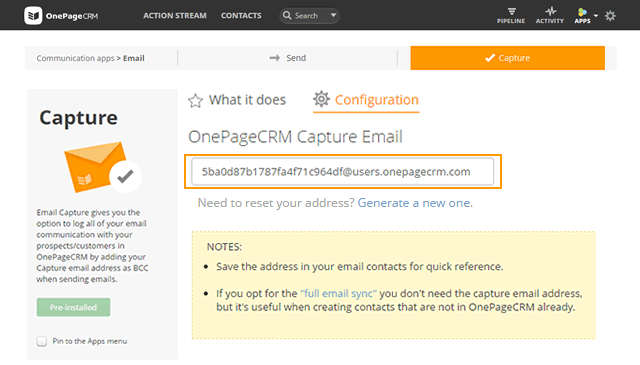 Reply to a contact from your email client and paste your Capture Email address into the Bcc field for the email to be logged by OnePageCRM. 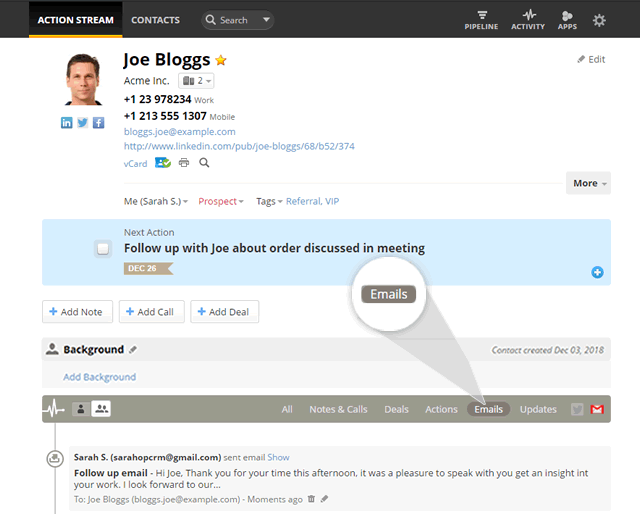 Captured emails are stored under the contact’s Emails timeline tab. Note: Emails or attachments must not exceed 10MB per email. 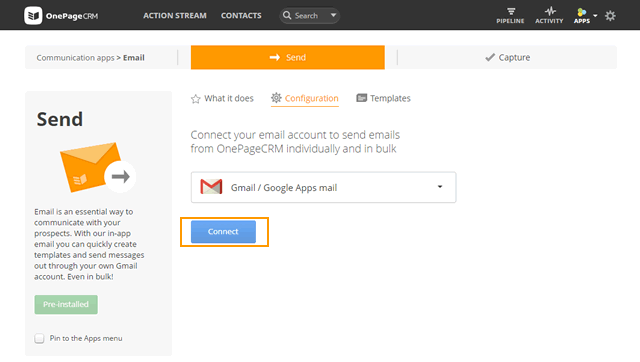 If you’re a Gmail user, go to Send → Configuration → select Gmail / Google Apps mail → Connect. Note: Once connected your outgoing emails will be logged automatically. If you’re an Outlook user, go to Send → Configuration → select Outlook / Office 365 mail → Connect. 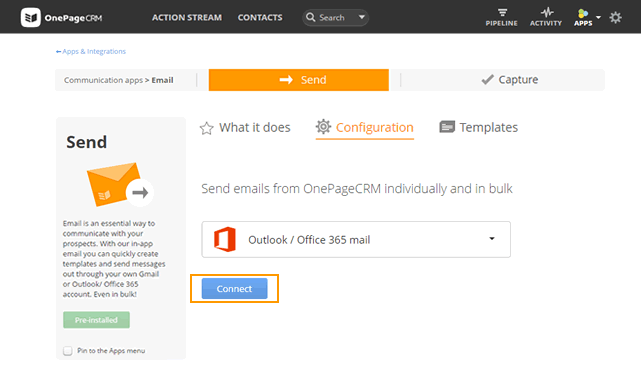 If you’re using a different email client such as Outlook, select Other. Note: You must use your Email Capture address to store incoming and outgoing emails. To pin the Email integration to the Apps menu, select the check-box Pin this application to the Apps menu. Your total storage allowance in OnePageCRM is 2GB. If you've reached the allowance, please contact support. 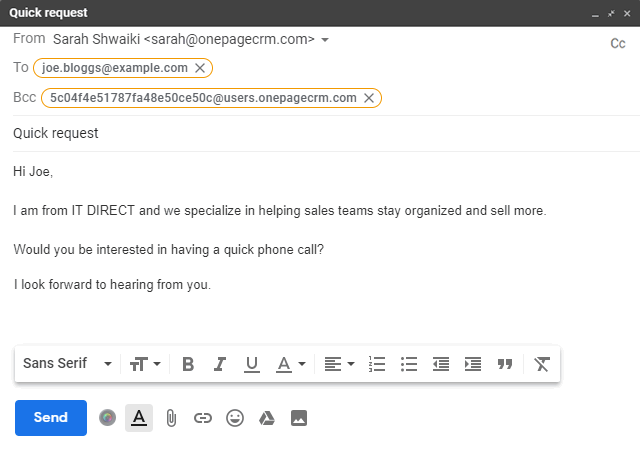 Why some emails are not captured in OnePageCRM? How to set your default email client for Windows PC?